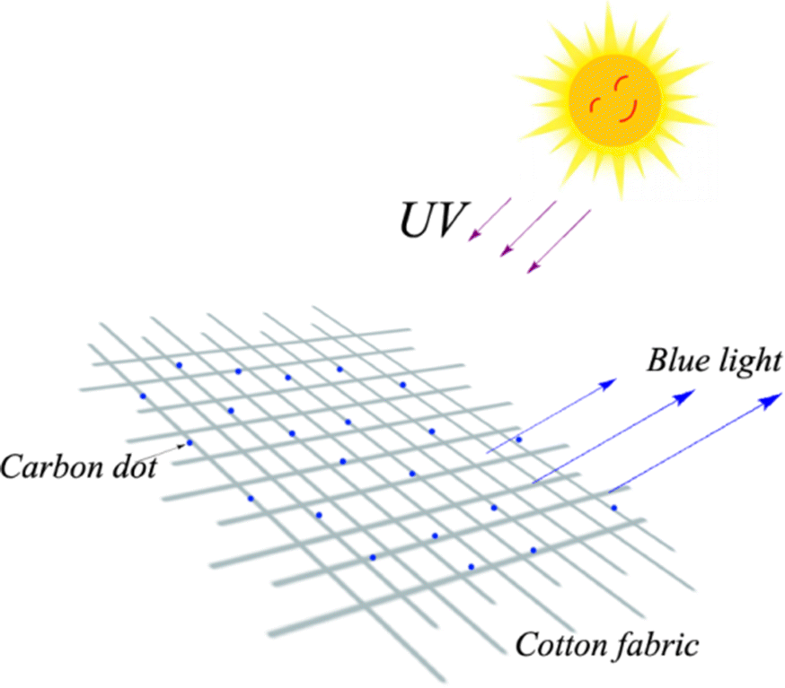 Ultraviolet (UV)-protective cotton fabrics are necessary for outdoor cotton clothing. In this study, boron and nitrogen co-doped carbon dots (BN-CD) are synthesized by one-pot hydrothermal carbonization, and consequently served as UV-absorber for cotton textiles. Fourier transform infrared, transmission electron microscope, scanning electron microscope and UV–Vis spectroscopy are used to characterize the structure and properties of BN-CDs and cotton fabrics finished by BN-CDs. The UV protection property and laundering durability of treated cotton fabrics are also measured. The results show that as-prepared BN-CD has high fluorescence and down-conversion fluorescence emission. The cotton fabric finished by the BN-CD and poly(vinyl alcohol) exhibits a UV transmittance of less than 4% in the range of 280–400 nm, a UV protection factor value of up to 38.6 and good laundering durability, indicating a promising potential of BN-CD as UV absorbers for finishing cotton fabrics. 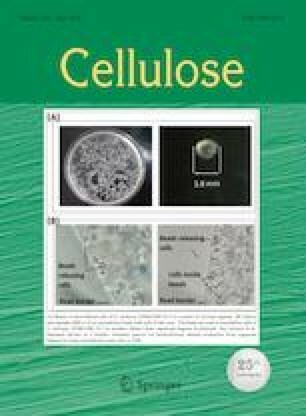 This work was supported by Hubei Provincial Natural Science Foundation of China (2018CFB267).